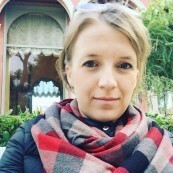 Daria Litvinova is Moscow-based journalist covering all things Russia for a number of English-language outlets. She focuses mainly on human rights, social and political issues, but never misses a good culture story. Her work has appeared in The Moscow Times, U.S. News and World Report, Coda Story, Thomson Reuters Foundation, The Daily Telegraph and The Guardian.